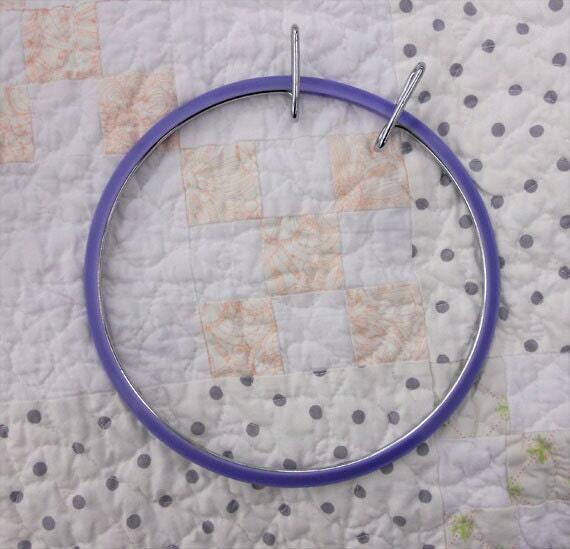 This hoop is just perfect for those hand projects. Use it for embroidery, brazilian, cross-stitch, and hand quilting. A must-have notion for the stitcher, quilter, or crafter. 7 inch spring hoop is wonderful size to work with.If you have a 9 inch spring hoop I would also purchase. Efficient fast service and shipping!